Semicolons are the horn-rimmed glasses of grammar: they’re just obscure enough to seem elite, but popular enough that they’re often misused. And, as with horn-rimmed glasses, the correct or incorrect use of a semicolon can define you as either cool, or a poser (or whatever the equivalent is in grammar). But enough with half-baked analogies—let’s get to the facts. 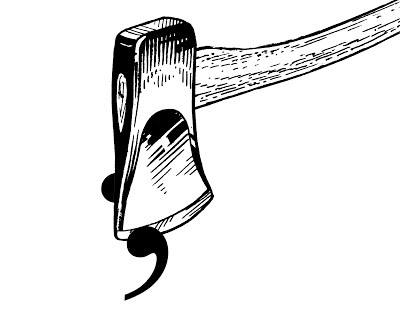 Anyone who has done any editing has had to change a semicolon to a comma—and has had to do it a lot. Of course, anyone who has done any writing can understand why this error is so common. When a person sits down to write, especially if she or he is writing a lot, the person can quickly tire of commas. Commas are common (and, no, there is no etymological connection there, though there probably should be) and the allure of an elegant semicolon can become harder and harder to pass up. “It’s basically a comma, right?” the tired writer may ask himself. “It’s just a kind of colon/comma?” the desperate novelist may wonder aloud. Wrong and wrong. Like a comma, a semicolon joins ideas. The types of ideas a semicolon joins, however, differ from the comma’s types of ideas. Semicolons join two complete ideas; they join two independent clauses. A period could be substituted for the semicolon—changing the two sections of the sentence into two distinct sentences—or a connective conjunction could be used if paired with a comma. The beauty of the semicolon is that it is a punctuation mark of finesse, of style. The semicolon joins two distinct, but similar, ideas not out of necessity, but to subtly change the flow of the ideas and the writing in which they are found. A semicolon offers more connectivity than a period, and less of a pause. Semicolons do have other assorted uses, however. One useful way to use a semicolon is in a list of items whose items already contain commas (e.g. Providence, Rhode Island; Chicago, Illinois; Portland, Oregon). If you are still hesitant about using the most feared punctuation on earth, or you would just like someone else to tackle the semicolon for you, try hiring a ghostwriter. In all seriousness, ghostwriting services are a great way to author your ideas professionally without having to slog through the mechanics of grammar. Read more about our ghostwriting and editing services, and contact us to learn more.